Millions of tonnes of waste wood and compost oversize material is generated each year and non-compostable materials such as plastic bags continue to be an ongoing problem in the cleaning of oversize compost. Ecohog has recently introduced the EH1500-M3 to the Windshifter range which has been designed to remove a range of non-compostable materials. The EH1500-M3 has been purpose built for ease of access to a variety of sites or locations. The hook loader unit with hydraulic raising power ensures ease of mobility and is compact in design to suit any location. The integrated hydraulic powered fold down conveyors ensure suitability for heavy material and de-stoning. The unique features of the machine such as the three way separation and precision settings ensures up to 99% separation efficiency depending on the material. 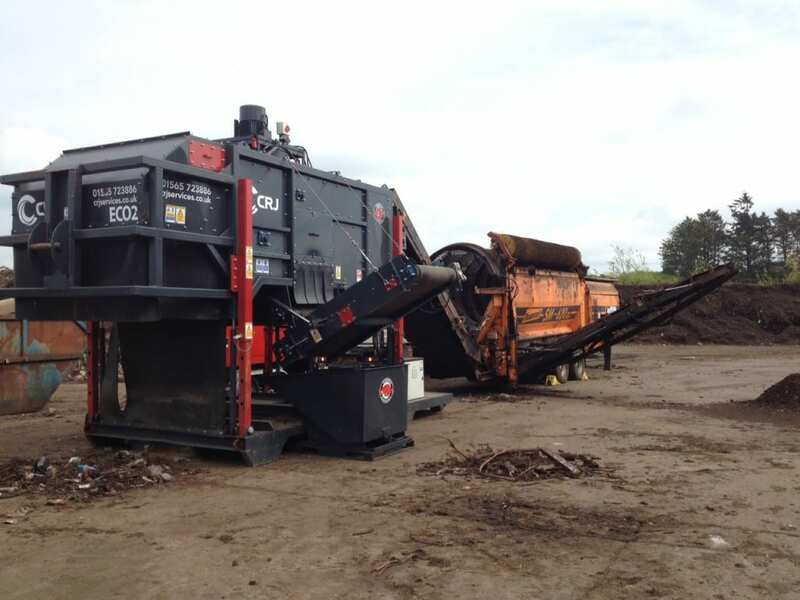 The Ecohog has been designed to work in conjunction with a range of recycling equipment including the trommel screen. The trommel screen produces oversize and undersize fractions. The oversize fraction is then fed onto the windshifter accelerator belt where the built in powerful tiger fan removes the lightest fractions from the application. The remaining material travels into the heart of machine where the majority of the density separation takes place, separating the larger lights from heavies. The heavy material then passes on to the integrated conveyors for de-stoning and the finished material is ready for biomass. The Ecohog EH1500-M3 protects other equipment such as shredders in the processing cycle as heavy contaminants have been removed. The EH1500-M3 requires minimal setup, is easy to maintain and low in operational costs. To find out more about how the Ecohog EH1500-M3 can clean your oversize compost or to view the EH1500-M3 Hook Loader Unit with Tiger Fan come along to stand WASTE’14 and visit the CRJ Exhibitors Stand outside on Plot H8. Alternatively if you operate within the UK and you wish to discuss potential Ecohog sales or rental options contact Rob at CRJ Services by emailing rob@crjservices.co.uk or on 07796018914.